Routine dental surgery is important to the overall health of your pet, especially after the age of three when most cats and dogs begin to show evidence of periodontal disease. Periodontal disease not only causes bad breath, rotten teeth and gum disease, but may contribute to health issues with other organs in the animal's body. 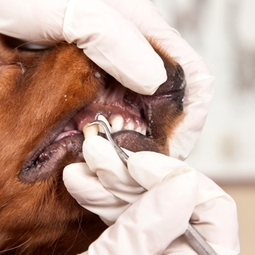 During the yearly routine exam, your pet's teeth and gums will be examined to determine if a cleaning is necessary. We now offer digital dental x-ray to look for under the gumline issues where dental diseases can hide.